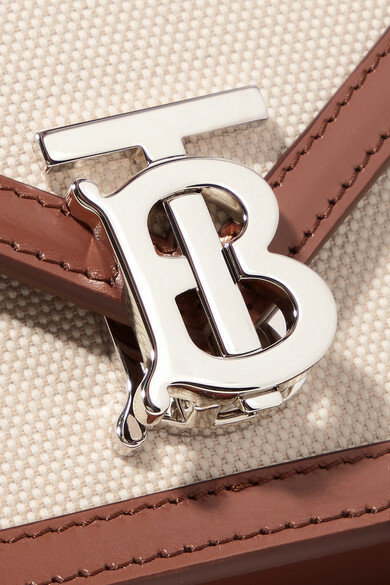 Riccardo Tisci delves into Burberry's extensive archives for his debut collection with the brand, drawing inspiration from founder Thomas Burberry himself to create the new 'TB' logo seen on this clutch. 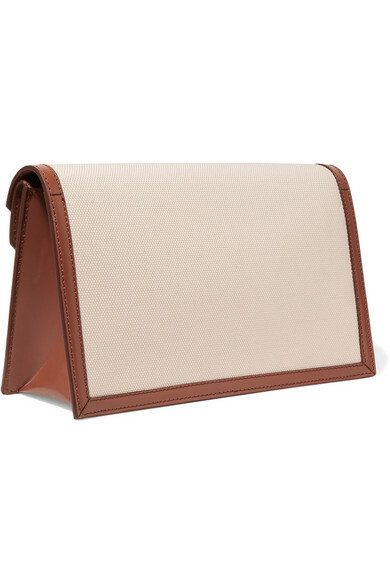 Made from cream canvas, it's trimmed with tan leather to emphasize the envelope shape. 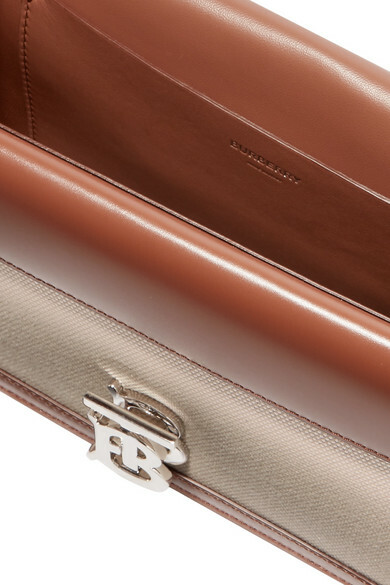 Carry it to summer parties or slip it into one of the label's larger totes in the daytime. 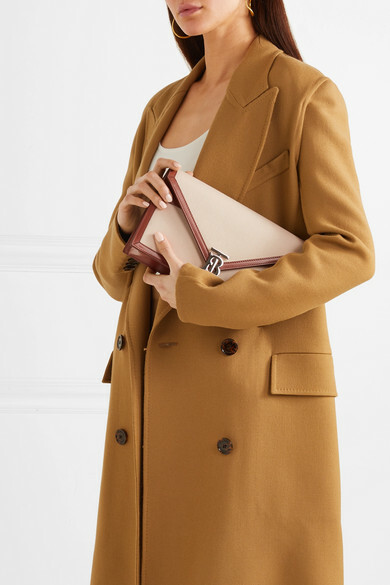 Shown here with: Burberry Coat, CASASOLA Bodysuit, Burberry Skirt, Victoria Beckham Pumps, Chan Luu Earrings.